Last week I was so happy cause for the very first time I can try Yakiniku; authentic Japanese one, at KINTAN, thanks to BBlog! KINTAN is an authentic Japanese Barbeque Restaurant. It is located in Pacific Place Mall 5th Floor. 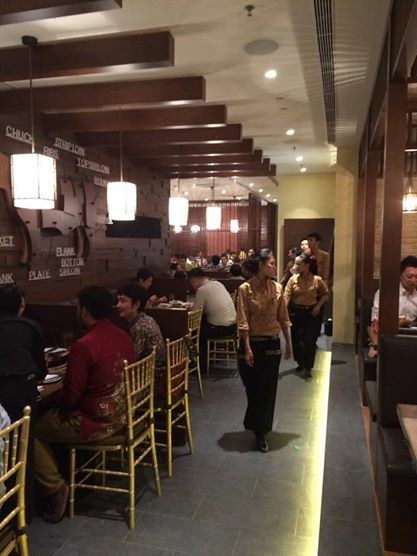 After successfully brought and introduced Japanese culinary in United States and Europe, Dining Innovation Group tries to expand their business in Jakarta by launching KINTAN and SHABURI Restaurant in the beginning of May 2014. For those of you who are not familiar enough with Japanese culinary, here are some basic facts about Yakiniku. Yakiniku is certainly familiar to Indonesian people, mainly in Jakarta. Yakiniku is signature food from Japan which served by roasted over fire like beef steak using "Ami". KINTAN also offers the new way to enjoy Yakiniku; just like in the origin country of it, customers can freely cooking Yakiniku beed by using suitable roster in every table. Cooking level may also be varied according to customers' preferences. 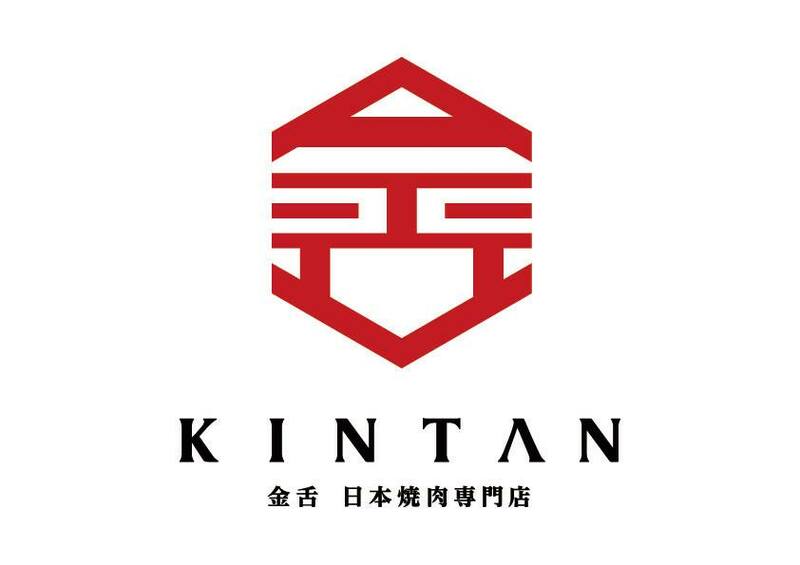 KINTAN itself means "gold" and "tongue" so KINTAN Restaurant hopes that when people eat at the restaurant they feel like their tongue tastes gold (CMIIW). First, come the pickled veggies (sorry don't know, but looks like kimchi). Also we're served the Manpuku set!! The chef also demonstrate how to cook and enjoy authentic Yakiniku. During the demonstration, the chef shown to us how to properly cook and eat Yakiniku, Japanese way. Hehe, for a beginner in food and culinary world like me, I found this very helpful. So, we just choose any meat available and put on the "Ami" until there's oil out from the meat then flip it to the other side, then wait until both side's color changed to brownish. Best to eat it medium, because then the meat will still be a bit chewy and juicy. I personally love medium cooked meat as well. The chef also kindly cook us wagyu beef set, which was VERY VERY TASTY!!! Hahaha. I want to eat it again. And the last part oh the chef's demonstration was the "surprise hormone"
Sounds weird? Yes, never heard of this before. So surprise hormone is actually cow's intestine. At first I was o_0, but then after tasted it, I LOVE IT VERY MUCH! Hahaha. Cooking part of this surprise hormone was the fun part actually. It's very very long then we have to cook it until it become cooked and shortened. After that, we should cut it into the pieces. After finished with the demo, then we all proceed with our own cooking and eating. Hehe, I was seated with all girls, they are Carryna, Dinda, Hanna, Lidya, and Sasya. It was very fun as you can see on this below picture where Dinda, Hanna, and Sasya are all joining force to cut the surprise hormone, LOL. Anyway this Manpuku set is for 2-3 person, but if you're THAT HUNGRY, sure you can eat all by yourself. And I think the price is reasonable enough, even considered affordable compared to other Yakiniku restaurant (IDR 198,000). Also, customers' favorite (and also my favorite) is so affordable! Surprise hormone costs you only IDR 59,000. Moreover, for you girls, don't worry about getting out from here and smelled like a burnt meat! KINTAN Restaurant is equipped with cooker hood so you need not to worry about that!